There is no better time to move than when the kids are on one of their school breaks. Whether it’s Christmas, spring break, or summer vacation, moving trucks are loaded, homes are cleaned out and ready for the next resident, and families are crammed into their cars to occupy their next home. Excited or full of angst, this is a stressful season for all. The physical and emotional task of moving from one home to another is daunting for even the very hardy among us. When you add the costs of a move to the stress this change already creates, even the most stable can be pushed to the point of no return. If you find yourself ready to undertake this task, it’s vital to manage it to the best of your ability, especially those dollars that you will surely need at your new location. Use up household cleaning items; you don’t want to pack three bottles of Windex. Eat what’s in the pantry, and buy only the food you need before you move. Whether it requires too much room in the truck you are driving, forces you to rent a bigger vehicle, or increases the weight calculations that determine what the professionals will charge, these items are not worthy of transportation. There are plenty of grocery stores where you are going. 2. Sort through rooms, one at a time. Again, everything that you pack costs money to move, so sell it (turning unwanted stuff into cash) or donate it before packing begins. Take measurements of big items to make sure they will work in the new home; some things may need to land on Craigslist. The lighter the load, the less to box up and unpack at the other end…win, win, win. While it may seem like the DIY method is cheaper, take time to compare (especially in long-distance moves)! If your move is flexible between October and April, these are lighter moving times and costs may be reduced accordingly. A truck rental plus gas combined with hiring labor in a new city could be as expensive as professionals. Don’t assume—instead, get all the info. Ask friends, family, and co-workers for boxes. Use social media; you may find someone who recently moved. Check out Craigslist for free stuff and of course local stores. They often break down their boxes, but if you ask ahead, you can find out when that occurs and get them before they do. Make sure you ask for the great boxes, like those that are strong enough for bottles or bananas. They work well for the heavy stuff or items that need protection. 5. Use what you have to pack. Towels, sheets, and even clothes can make great wrapping material for the breakables. No one has newspapers anymore and who wants to rip through two entire rolls of bubble wrap anyway? 6. Maximize your turn-off and turn-on utility dates. It may only be a day or two but each day has a cost. You don’t want to pay the heating or cooling bill if you’re not there to be heated or cooled! You’re probably going to be heating and cooling the outdoors anyway when you load the truck, so control it where you can. 7. Track your cost for taxes. 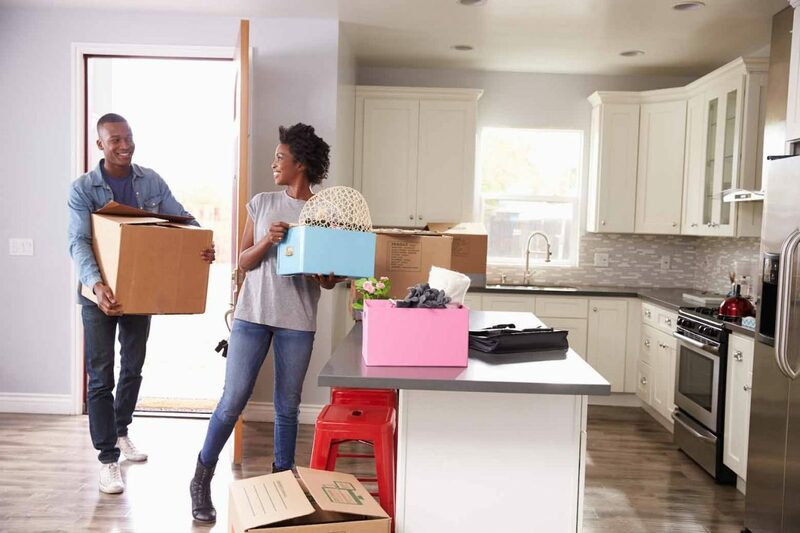 If you’re moving for work, keep track of all your expenses and check the IRS rules to determine what deductions are accepted and write them off. The potential saving on taxes can help offset some of the costs of relocating. No one wants to pay more taxes than they have to, so it’s a win all the way around! If a move is in your future (it usually is), take heart. You can keep your cash, keep your sanity, and make a move as budget friendly as possible. Having driven or followed trucks through several states on several occasions, I can tell you from firsthand experience; you will be glad you did. You’ll love this podcast episode from This Grit and Grace Life: How to Make Decisions (Even the Hard Ones) – 076!